It is known that moist convection is a key factor for the development of tropical weather systems, severe weather, thunderstorms, hailstorms, and tornadoes. It acts as a turbo engine for the cyclones. Some questions that come to mind in this context are: how do diabatic phenomena affect the dynamics of large-scale Earth and planetary flows? How can we construct an idealized model to represent the hydrological cycle of evaporation and precipitation, as well as the intense effects of latent heat release? It is a challenge to accurately represent diabatic effects in a model while retaining enough simplicity. The complexity of thermodynamics of the moist air, including micro-physics, intrinsic nonlinearity, and phase transitions, incites us to look for a model with simplified and minimal parametrizations in order to capture the dynamical influence of the moist convection in the crudest way. Although great achievements have been accomplished in the recent years to improve diabatic processes in weather and climate modeling, the above-mentioned complexity is at the origin of problems in weather forecasts with water cycle modelling, especially of the long-term ones. Thus, it is no wonder that climate models significantly diverge  when it comes to prediction of precipitation and humidity. General circulation models use a plethora of parametrisation of physical processes which hide the role of the water vapor cycle under the large-scale atmospheric dynamics. As diabatic processes are essentially nonlinear, the techniques of linear stability analysis are inappropriate in the moist-convective case. By idealized improved moist-convective Rotating Shallow Water (imcRSW) model , one can investigate the impact of condensation and related latent heat release upon dynamics without going into the full-scale thermodynamics of the moist air. In this simplified model, only the roughest features of the moist convection are taken into account. The old version of the model (mcRSW) has already applied to investigate instabilities of synoptic scale Earth and planetary jets and vortices [3, 4, 5]. The parametrisation of moist convection in the numerical models has been the topic of a few studies, i.e. [6, 7]. In the prevalent Betts-Miller scheme, once moisture exceeds the saturation value, it causes the latent heat release and condensation in terms of linear relaxation of the specific humidity toward an equilibrium profile. In most cases, convection is accompanied by convergence in the boundary layer. In some shallow water models, convection has been parameterized by using wind convergence without having moisture equation. There is a simple and physically consistent way to include moist convection in the model by adding a relaxational parametrization of the precipitation and coupling precipitation with convective fluxes with the help of moist enthalpy conservation. In order to take the phase transitions of the condensed water vapour into account, precipitable water is introduced in the imcRSW model and it is linked to the water vapor through bulk condensation and vaporization. At the same time, the convective fluxes can be associated with entrainment of precipitable water, adding more realism to the representation of the moist convection. Condensed water remains in the atmosphere in the form of clouds, and precipitation is switched only when water droplets reach a critical size. So, the proposed imcRSW model is a simple yet self-consistent cloud-resolving and reliable tool to study the dynamics of the motions including diabatic processes. It is used to modelling development of instabilities of tropical cyclone-like vortices. The model is shown to be able to capture the salient features of instabilities of hurricane-like vortices in moist-convective environments. It permits us to examine in detail the importance of moist processes on the life-cycle of these instabilities and on the process of intensification of the vortices. Moreover, it well represents the dynamics of the eye-wall and cloud bands with corresponding precipitations. 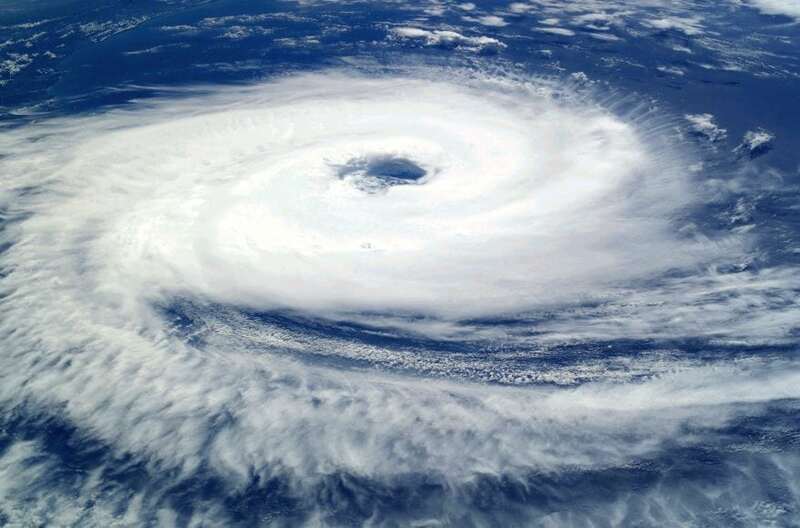 These findings are described in the article entitled An improved moist-convective rotating shallow-water model and its application to instabilities of hurricane-like vortices, recently published in the Quarterly Journal of the Royal Meteorological Society. This work was conducted by Masoud Rostami and Vladimir Zeitlin from Sorbonne University (UPMC). Stevens, B., Bony, S., 2013. What climate models miss? Science 340, 1053. Lord, S. J., Chao, W. C., Arakawa, A., 1982. “Interaction of a cumulus cloud ensemble with the large-scale environment. part iv: The discrete model”. Journal of the Atmospheric Sciences 39 (1), 104-113. Betts, A. K., Miller, M. J., 1986. “A new convective adjustment scheme. Part ii: Single column tests using GATE wave, BOMEX, ATEX and arctic air-mass data sets”. Quarterly Journal of the Royal Meteorological Society 112 (473), 693-709. 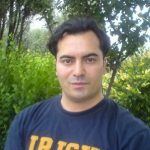 Masoud is a research scientist at LMD (École polytechnique/ENS Paris/Sorbonne Université) and a postdoctoral researcher at Cologne University.